The People for Change Foundation offers daily mailings of press cuttings about human rights from Malta and around the world. We scan the major news outlets so that you don't have to. 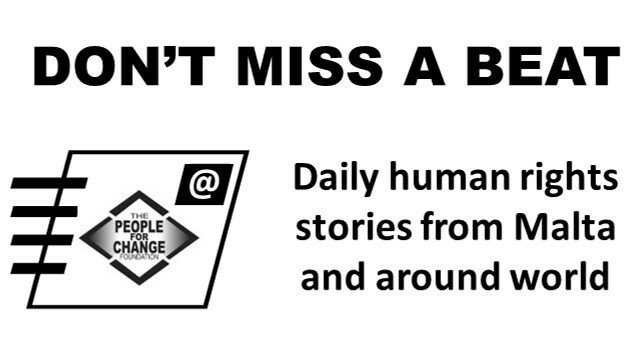 You will receive an email in your inbox every morning highlighting the most important stories from around the world! All you have to do is sign up below! For more information contact us on team@pfcmalta.org or by visiting the contact us page. Thank you for subscribing. You will receive an email within 1 hour to confirm your registration. If you do not see this email in your inbox, please check your spam folder, as sometimes these emails get lost. We do hope that you will find the service useful.